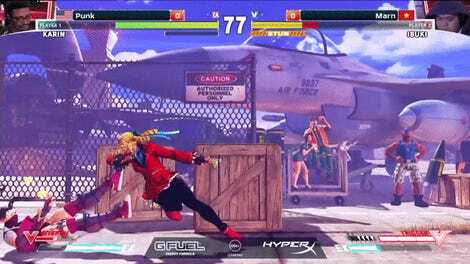 Red Bull Kumite, which started with Street Fighter IV in 2015 before transitioning to Street Fighter V in 2016, often serves as a summation of the year’s competition. The event invites some of the most accomplished players in the world to compete in Paris, France, and also gives additional challengers the chance to earn a spot through last-chance qualifiers. 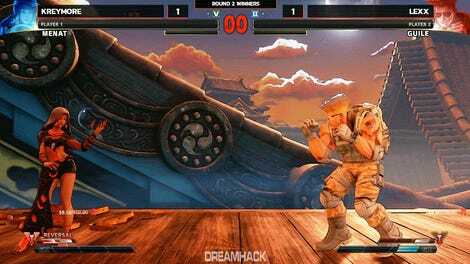 This year’s installment was no different, combining high production values with intense Street Fighter matches to create the best of both worlds. The event experienced two big shakeups before it even began. Red Bull Kumite 2016 champion Seon-woo “Infiltration” Lee, who was recently accused of domestic violence, was pulled from the competition by his team, Panda Global, pending their own internal investigation. He was replaced by Emirati rep Amjad “Angry Bird” al-Shalabi. Additionally, visa issues kept Saul “MenaRD” Mena of the Dominican Republic from making the trip to France, prompting the organizers to open an additional qualifying spot. As soon as the tournament started, the players who did end up getting to attend made sure to entertain. Each competitor was given their own special intro, and some opted to use that time as a way to amp up the crowd. Last-chance qualifier Yeh Man “HotDog29” Ho, for instance, entered the venue draped in the Hong Kong flag, while Japanese powerhouse Hajime “Tokido” Taniguchi made sure to mean mug for the camera. Li-Wei “Oil King” Lin of Taiwan was one of the best of the bunch; he ripped off a pair of pants to show his traditional short shorts and amazing legs. Surprise French qualifier Léo “JuniorLéo” Sillard-Ferrari also had a memorable intro that involved gathering a few of his friends together to recreate the famous Ginyu Force pose from Dragon Ball Z. After a bit of tension-building that involved each player taking turns drawing their spots in the random bracket, Red Bull Kumite was officially underway. The opening rounds were an absolute bloodbath, with veteran players and lesser-known challengers alike dropping like flies. In rapid succession, South Korean dark horse Chung-gon “Poongko” Lee and Masato “Bonchan” Takahashi of Japan got eliminated early on, followed by fan favorites like HotDog29, Oil King, and even Tokido, who placed second at the Evolution Championship Series this past August. The remaining competitors did all they could to remain in the competition. In a losers bracket showdown against last-minute invitee Angry Bird, hometown hero Benoit “Gunfight” Arquilla came back from a huge life deficit after scoring a well-timed counter with Alex, a grappler with few advocates in high-level play. Although he didn’t end up advancing past that round, Gunfight proved to be an able representative for the French crowd, who cheered him on even in defeat. Atsushi Fujimura, the Japanese competitor who would eventually go on to become Red Bull Kumite champion, stayed alive in a close match against France’s Olivier “Luffy” Hay in much the same way, making use of Ibuki’s scary mixup game to survive with a sliver of life and continue on in the winners bracket. 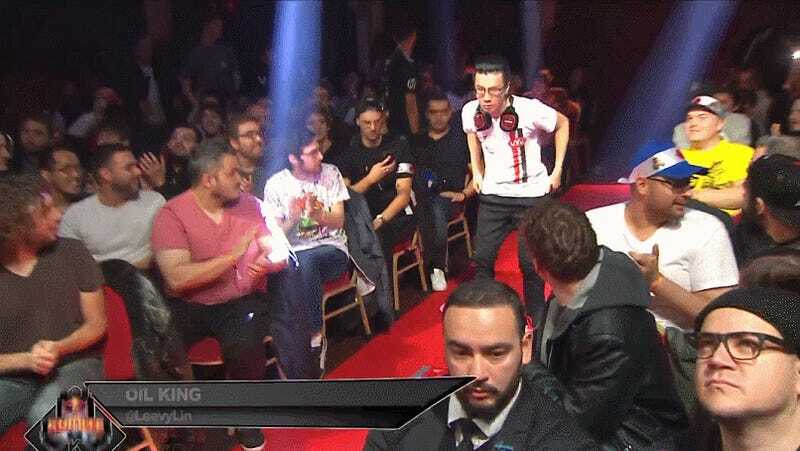 In the wake of Luffy’s loss, it was hard to tell who was more heartbroken, the player or the local fans who had thrown their hopes behind him, but his fifth-place finish would end up being the best showing by a French player that weekend. Daigo Umehara might be the greatest fighting game player of all time, but the Street Fighter V era has balanced out his enduring legacy with a string of disappointing performances. That said, he can still become The Beast from time to time, and he made sure to show his fangs in a tense match against Evo 2018 champion Benjamin “Problem X” Simon. 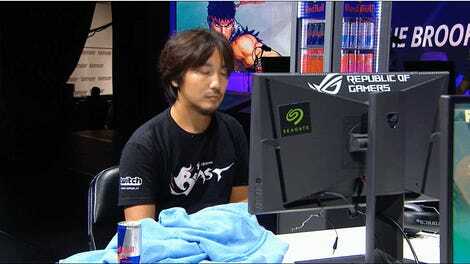 On the verge of elimination in the losers finals, Daigo summoned every ounce of his experience to even the life differential and force a dangerous scramble situation. His calculated use of fireballs trapped the United Kingdom’s finest in the corner for what felt like forever, allowing Daigo to exert his own momentum and take control of the match. And although he would eventually lose to Problem X and leave Red Bull Kumite in third place, this brief flash of brilliance showed that Daigo still has a lot left in the tank all these years later. Red Bull Kumite continues to be a prime example of how the esports world can put on a fighting game event without setting aside the elements that make the community great in the first place. The event puts the game at center stage, but still allows the players to showcase their personalities in natural ways. Red Bull Kumite provides the high production values typically associated with major competitive gaming while also respecting the traditions of the fighting game community. This year’s installment gave us a slew of amazing Street Fighter V matches without getting bogged down in branding and outside influences, and at the end of the day, that’s what matters most.